Cheap flights from Germany to Cape Verde from €203! Cheap flights from Brussels to Vancouver from €311 return! Return flights from London to exotic French Polynesia from £763! 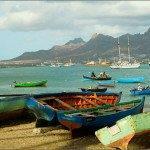 Cheap flights from Germany to Cape Verde from €203! If you are flexible you can book last-minute deals based on TUIfly Germany promotion. Book the cheapest flights from Frankfurt. Cologne or Hannover to Sal or Boa Vista. Note that fare is already including checked-in luggage in base fare. Even if you visit this tropical African archipelago in winter the temperature rarely drops below 20 degree Celsius. Ocean temperature usually floats around comfortable 23 degree Celsius. But Cape Verde has much more to offer than classic beach destinations..
TUIfly Germany promotional sale offers the cheapest flights from Germany to Cape Verde in October 2018. Below you can refer to our booking. You need to be flexible thought as the cheapest flights are available when departing in few months. Deal is based on direct booking with this charter carrier. Simply follow below link and compare the cheapest travel options from Germany to Sal or Boa Vista. Cape Verde is a country in West Africa. It comprises a group of islands of the Atlantic Ocean, west of Senegal. It is part of the region of Islands collectively known as Macaronesia. Despite its remoteness in elevation with all but 3 islands being mountainous. The lack of natural resources, its isolation from many other countries, and devastating famines in the later 20th century. Cape Verde has won a positive reputation in promoting what is considered the most stable democracy in Africa, a standard of living higher than most African nations, and one of the most politically liberal nations on the continent, and in the world. If you have booked these cheap flighs from Germany to Cape Verde (Sal or Boa Vista) you can read more about this country at Wikitravel. Every isle of Cape Verde archipelago boasts its own unique history and selection of landmarks. From sandy beaches, charming local villages, numerous volcanoes till different mix of cuisine and culture. Hence the art of “island hopping” is choice of visitors they prefer. (traveling across multiple islands to experience all the difference each of the islands offer). Need affordable hotel in Sal or Boa Vista book your accommodation via Booking.com or Hotels.com. If you have booked these cheap flights from Germany to Cape Verde you can also compare best prices for car rental in this destination via Rentalcars.com. Booking sample of cheap flights from Germany to Cape Verde from €203! In this case you would depart from Frankfrut to Boa Vista on 24th of October. Your return flight from this exotic African archipelago back to Germany would be on 9th of November 2018. Take advantage of this latest promotion to Sal or Boa Vista and book the cheapest flights from Germany to Cape Verde!